It’s something that I had never heard of – which is partially why I decided to make this video and write this post. As we’ve already established – everyone struggles with some form of creative block at least once in their lifetime (for me it’s more like once a week – usually Monday mornings but that’s a whole other topic.) 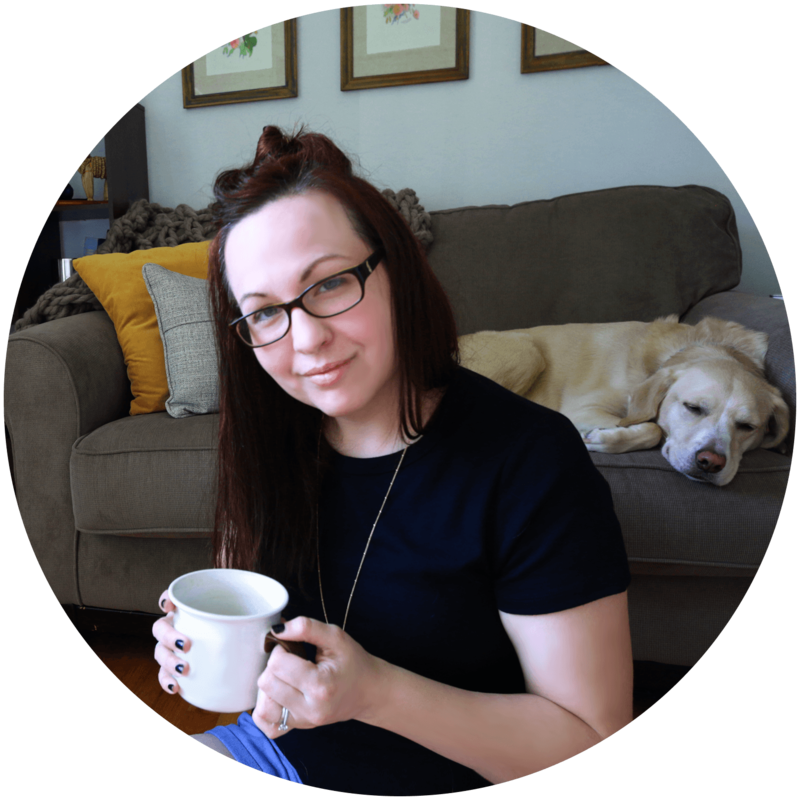 So, today I’m going to be sharing with you some exercises that I do to get me out of this rut and recharge my creative circuits. Now, without further delay let’s jump into this! Believe it or not, the best place to actually start your “creative wheels a turning” is to go back to the basics – yeah, those basic beginner’s exercises you learn way back or perhaps have just started practicing. I’ll get into the reasoning a bit later, but for now just trust me going back to the basics works. Washes are the first exercise I recommend trying. 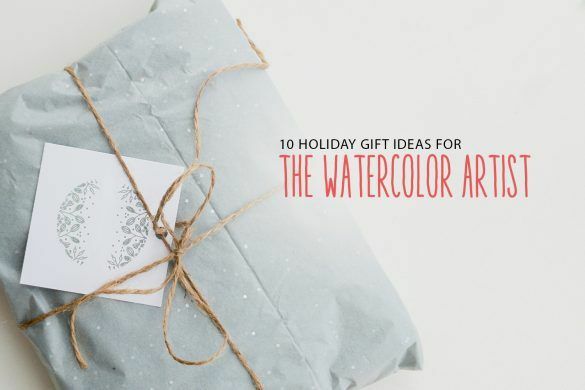 They are easy and the foundation for everything you will do in watercolor. 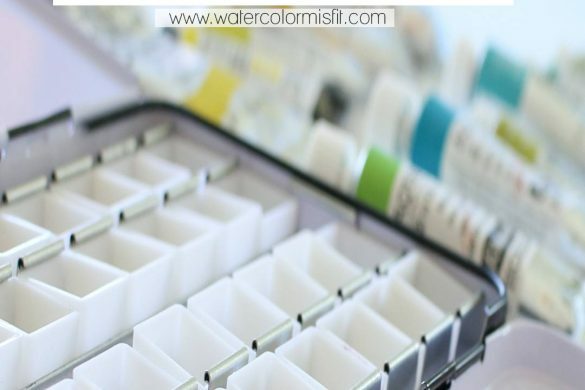 There are 3 different types of washes you can paint – A Flat Wash, A Gradient Wash, and a Variegated Wash.
FIRST, DON’T OUTLINE THE SHAPE – rather, start from one side and work your way to the other. This creates a smooth transition without the chance of layering a new color to a previously dry coat (that’s there those funky line shapes come from). NEXT, ALWAYS LEAVE A PUDDLE IN THE DIRECTION YOU ARE MOVING. The video demonstrates this perfectly – thus if your a bit confused definitely check out the video. But basically, as you are painting, try and keep a puddle of paint toward the edge in the direction you are moving your paint. This will prevent the paint from drying to quickly on the page and allow you to pick up new paint if need be. 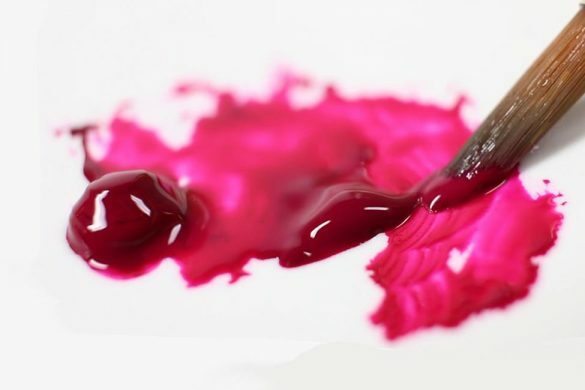 By painting in this method, you can create smooth transitions when loading your brush with paint – by simply placing the newly loaded paint in the puddle you just formed. 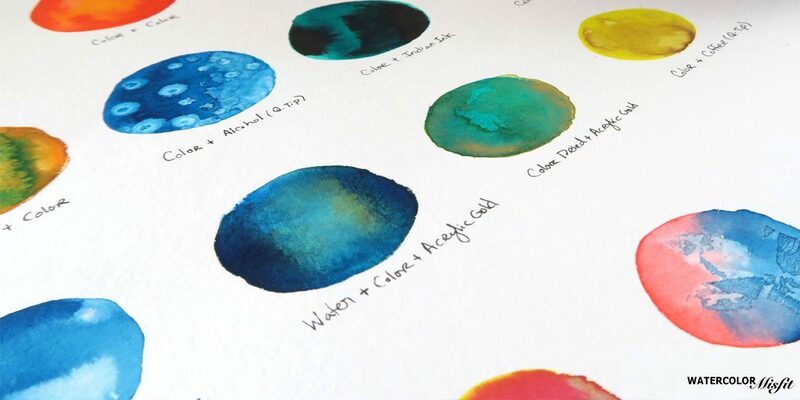 Gradient washes are washes that show a smooth paint transition from one color to the white of the paper. These are great for showing highlights and are pretty simply to paint. Once again, DON’T OUTLINE THE SHAPE. Similar to the flat wash start at one end of the shape you desire to paint and move in a forward motion to the other side. 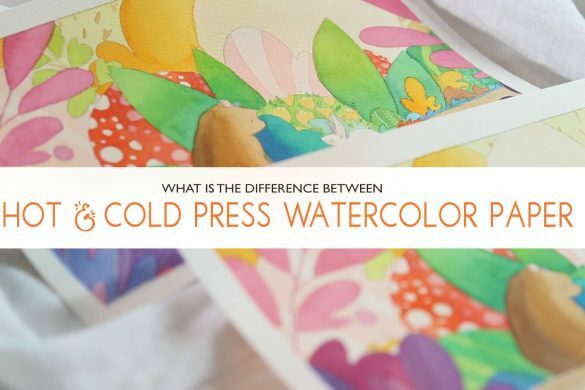 However, with a gradient wash instead of picking up more paint this time you will be loading your brush with water and slowly adding more and more water to the paper until the color appears transparent on the paper. 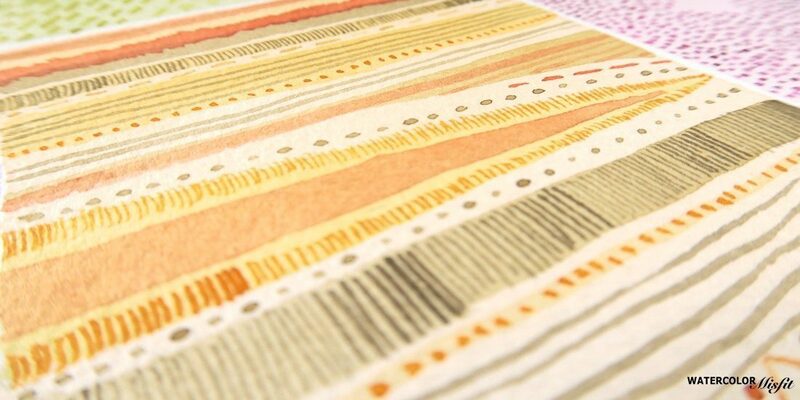 Variegated Washes are washes that show a smooth paint transition from one color to another. These are in my opinion the funnest to paint but also the most difficult. I have found the easiest way to paint these is by starting on one end of your shape with let’s say pink and painting similar to a flat wash toward the center. Then with another brush painting the opposite side let’s say blue and painting this side toward the pink. 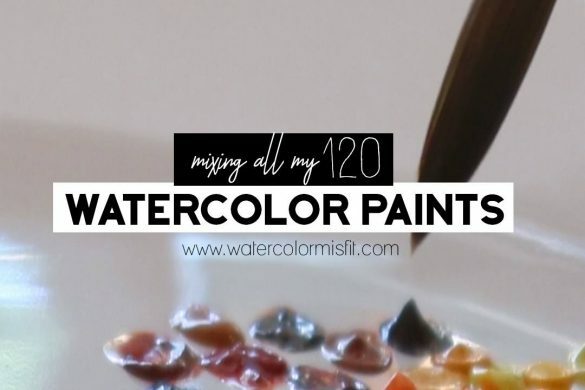 However, before merging the two, next mix the two colors on your palette and then apply this to the middle -merging the purple tone between the pink and blue. This helps me create the smoothest transition and still give it a cool variegated feel. I absolutely love playing around with watercolor textures! There are so many different combinations you can play around with. Your imagination is really the limit for this one. I’m going to be honest with you, I’ve wasted a couple of days away just playing around with watercolor textures. I could spend a whole article talking about the endless possibilities with this technique, but for time sake will limit myself to my 6 favorite texture combos. I noticed in recent years there is a lot of confusion with glazing and wet into wet. To help clarify this confusion, I’m going to try and simply the definition as much as possible. Glazing is painting wet paint onto a semi-wet to already dried layer of paint. Wet into Wet, however, is painting wet paint into wet paint and allowing the two to mix freely on the page. Think of glazing has having some control over your paint. Whereas, wet into wet, is a Hunger Games free for all, with no control over your paint. This technique is great for adding shadows and details to a previously painted layer. Also, notice that your paper, after being wet will react differently than it did when you first painted on it. 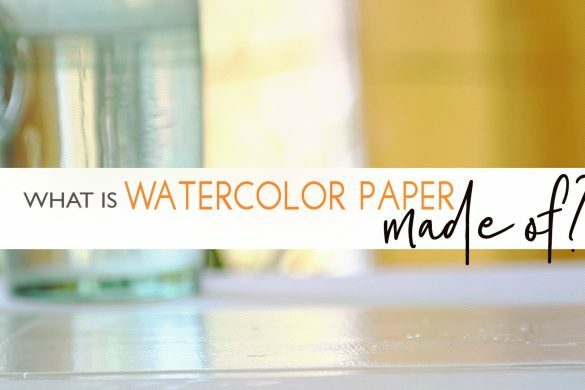 Depending on how much water you previously applied to the paper, your lies may not be a defined as they were when first painting on clean paper. This is just something to keep in mind especially when added thin lined details. And finally, the last exercise I recommend is Precision. 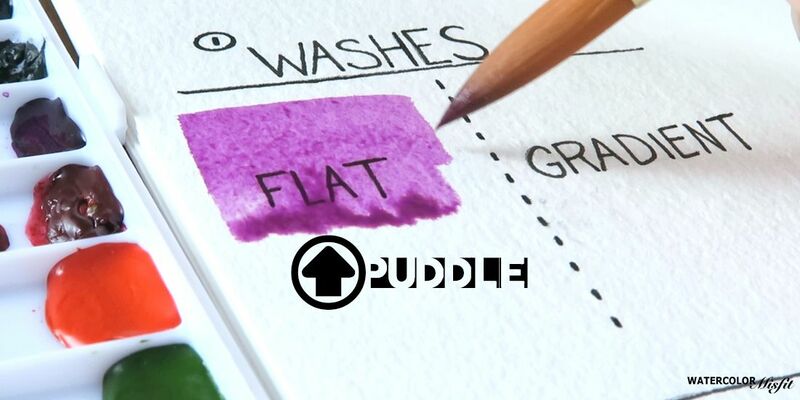 Think of Precision as a handwriting exercise – except with your paint brush. It’s basically trying to control your hand and eye coordination for those small intricate details. 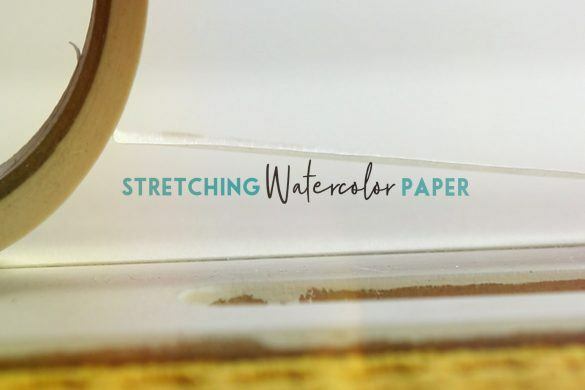 The goal of precision is to paint lines as close as possibly to one another without touching one another and allowing the wet paint to blend on your paper. As you find yourself getting better and better with simply lines – next try creating intricate patterns with shapes to challenge yourself further. You may be asking yourself, Carrie why the heck did you just walk me through a beginning watercolor class? Well, starting from the beginning is the best way to recharge yourself. 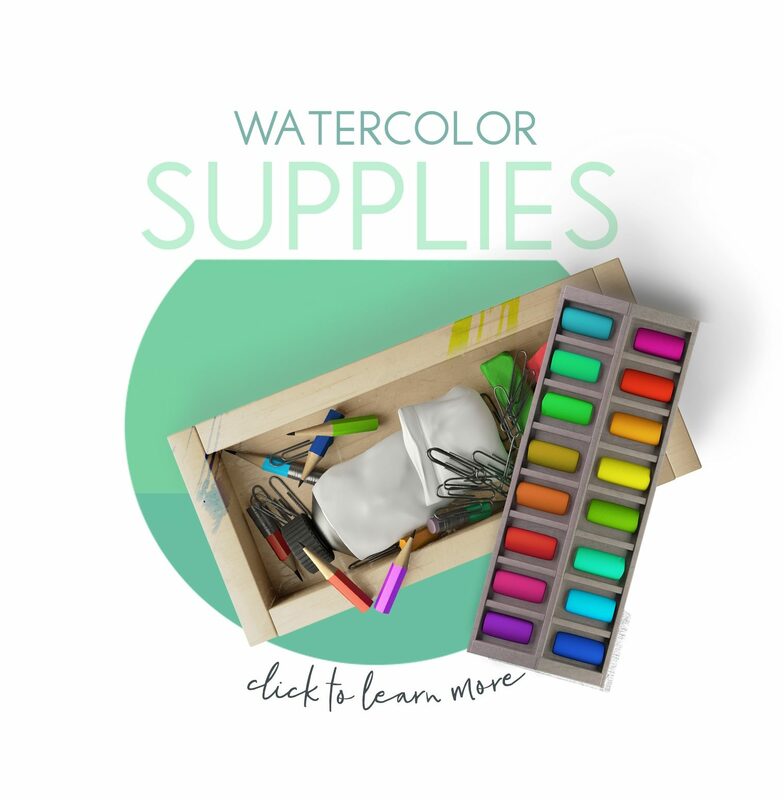 It’s a simple and easy way to get back into the groove of painting, honing those basic skills, without the pressure of creating a masterpiece. As we all know, perfectionism is the greatest enemy to creativity. 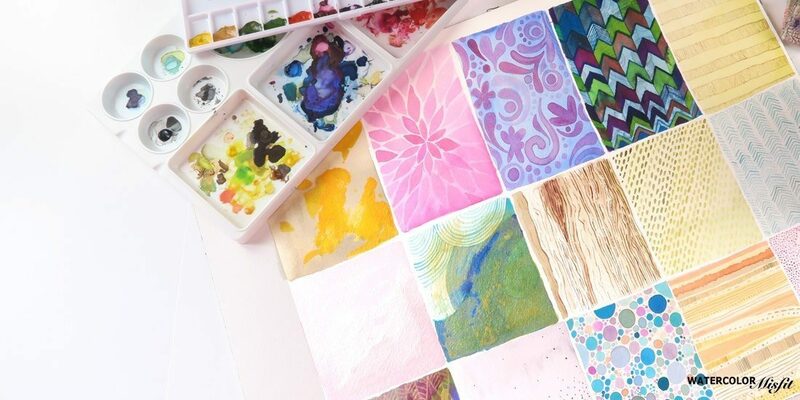 I didn’t share this in the video, mainly due to time, but after you feel more confident with your basic painting skills, challenge yourself a bit more with watercolor patterns. This is where your creativity and really blossom. I’ve included a sample of what I did to get my creative juices flowing and I promise you it works. But don’t take my word for it, try these exercises for yourself and watch your creativity recharge. As usually my Misfit Fam, it’s been a pleasure and I will see you next time! Thanks so much!! Love your tutorials Carrie!! I’m a newbie to watercolor and am learning so much from you. So glad the tutorials are helping! 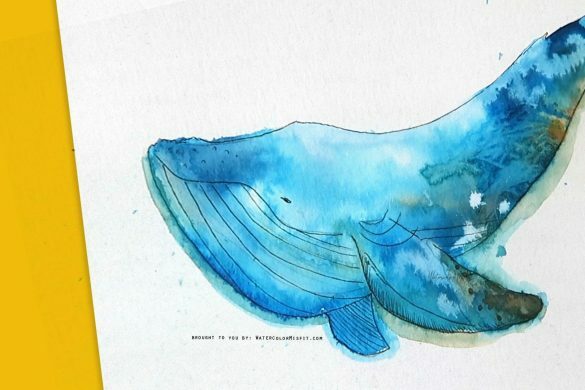 I have a question for you – I’m currently putting together a beginner’s watercolor class. As a beginner, what are 3 things you want to learn more about if you were in the class? That would help me ALOT! Thanks! BONUS 4. Good subject matters to paint or practice (this was a good example and I this is also the only one if your posts I’ve read so if you’ve already covered any or all of these things then totally sorry for wasting your time lol I’m just just JUST starting to play with watercolor when I take a break from acrylic and oil and those are some things I’d wanna learn in a class. Carrie…I have to tell you how much you have inspired me and encouraged me to just try and paint with watercolors. I’ve been wanting to tell you. I searched the Internet trying to find someone who had a pattern that I could paint along with them and you do that! I learn the best this way! This is coming from a 62 year old Grandmother who has always wanted to learn to paint and you are helping me do that in a style I love! I enjoy all of your videos on YouTube and learn so much from them! I’m so glad you love the videos Linda! Yeah, I paint paint with a pattern. It helps my confidence levels while painting. Thanks so much for commenting! Your comment made my day! 😀 Stay Artsy! i love the way you explain things, in writing and in showing on you tube, thanks!!! Thanks 😀 Glad you like! I am new to your site and wanted to Thank you so much for your advice on using puddles for flat washes! I finally have a successful flat wash! I also very much appreciate the exercises. I dont have a block as much as I have inexperience and these were very helpful, as all your videos are. Hi Carrie! I am very new to watercoloring and I’m loving your videos! I’ve learned a lot already! 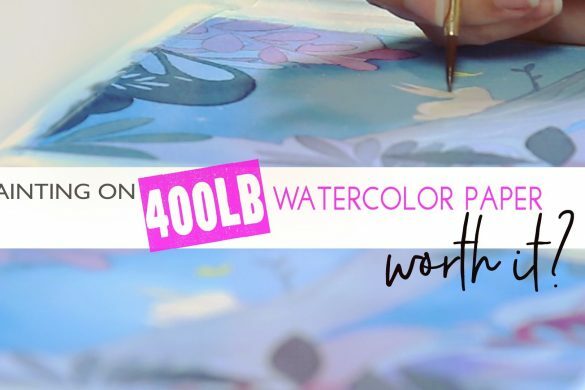 What type of watercolor notebook are you using in this video? I like the idea of a sketchbook style watercolor pad! You were the first watercolour artist I watched on You Tube. In the beginning I just admired … you do lovely work. I also took to heart took the advice that improving drawing skills was very important. I’ve never taken any formal art lessons so I took the following 3-4 months to practise, practice practice. Thanks to following and trying basic beginner WTC tutorials again, including yours about various topics, I began to be more encouraged and focused. Therefore I thought this vlog really summarized in helpful detail everything I need to be more confident with WTC. You asked wjithin the comments section what tutorial we might like…I would like to have tips on how to transfer drawing onto WTC paper; if possible. Thank you for all your inspiration and teachings. Hi Carrie… I was always confused about variegated wash.. I think it’s a good idea to paint with the mixed colours in the middle… thank you so much for the lesson.. Thank you for a great video!! I’m learning how to watercolor, cause I am starting to get headaches from my alcohol markers. I started with watercolor in tubes but had hard time getting my colors the way I would in alcohol marker. So I got watercolor pencils to try, but that’s tricky too. 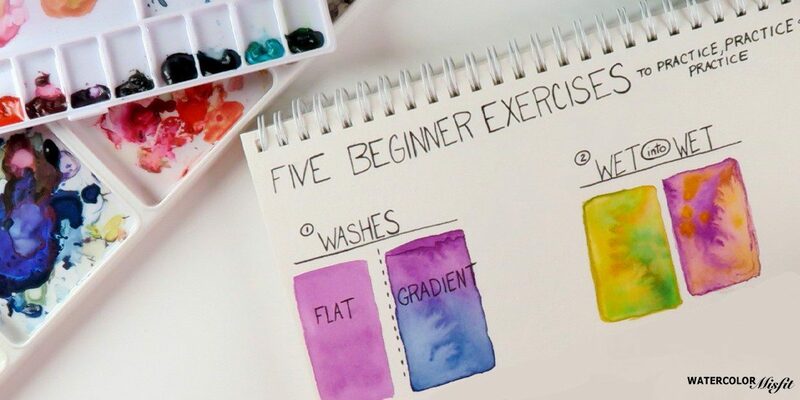 Do u used watercolor pencils? 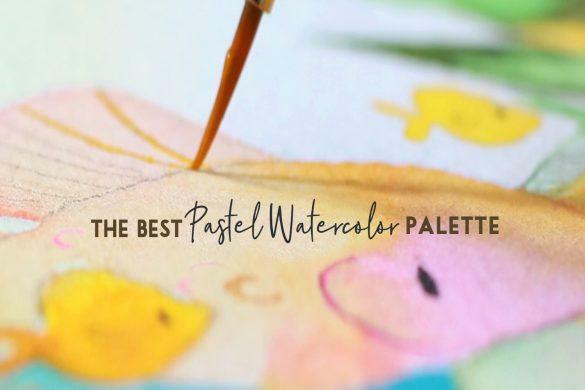 Do u have a video on using watercolor pencils? Hi Carrie! My name is also Carrie (Well, my nickname is Carrie)… anyway, I just found you on youtube. Love your videos! I’m very new to w/c. I’ve played with acrylic and oils, but just getting into this new medium. Gotta say… you are much easier to follow. You make it more clear with your instructions. Stripping it down to the basics for us. Love it! I just wanted to say that I love your style and I am learning so much from you. I just found watercolor and I love it. I work fulltime and can’t wait to get home from my work day to practice, practice practice! It is so relaxing to me and you give some great instructions on how to practice! Love your work. Thank you for what you do! Hi Carrie. I am new to painting and would really like watercolor to be my medium of choice but really have difficulty starting. Your suggestion to practice, practice will, hopefully, get me on the right track. Thanks for taking your time to prepare the tutorials.